Just as shown... fluffy down fill. Beautiful thick fabric. American made designer throw pillow available in varying sizes including 12" x 18, "18" x 18", 20" x 20", 22" x 22" and 24" x 24". All sizes include a plush down feather pillow insert and a hidden zipper closure for easy cover removal. The same beautiful fabric on the front side is also featured on the reverse side of the throw pillow. All four sides feature a clean edge finish with double stitching for added durability. 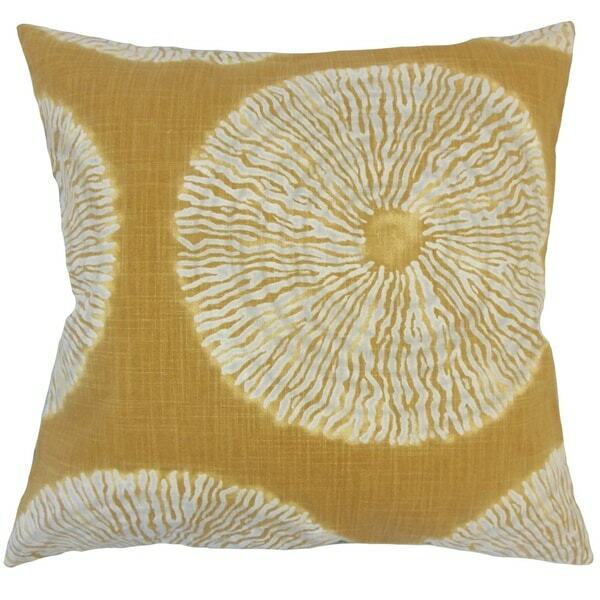 This throw pillow is handmade just for you outside of Boston, Massachusetts USA. Dimensions 18.0 In. X 18.0 In. X 5.0 In.